Thanks to advanced technology, deals can be closed remotely. Any goods can be sold online, including clothing and footwear. The apparel e-commerce market in Russia is gradually developing. However, expansion of trade and coverage is hindered by certain obstacles. In 2017, Data Insight agency conducted a large-scale research of the Russian online apparel retailing market. During that year, Russians spent RUR 166.5 bio ($2.5 bio) on buying clothes over the internet. They placed 63.5 mio orders, each for an average of RUR 2,600 ($40). The conversion rate was 10%, which shows the ratio of internet store visitors to actual buyers. The conversion rate in online clothing sales is one of the highest. The average rate is 8%. Online catalogues and mailings are the most efficient methods to attract customers. Wildberries, La Moda and Bon Prix were named the largest retailers. Wildberries is the market leader accounting for 33% of all clothing purchases online. Customers placed 53% of their orders from desktop computers and laptops; 47% orders were placed from tablets and cell phones. During the crisis, the omnichannel sales model proved to be the most profitable. Many brands then engaged in e-commerce in addition to managing a chain of stores. Finn Flare earns 15% of its profit online. BAON makes 20%. Both are high results for online clothing sales. RBC Market Research agency reports that the average profit of a store from online sales is 2% to 5% of the total turnover. However, e-commerce is considered a promising business area. In 2018, 56% of clothing retailers had their own online stores, compared to 42% in 2017. Henderson CEO Ruben Arutunyan claims the store’s online profit is only 2% but the number of customers who prefer online shopping to boutiques grows by 50% every year. In 2016, Detsky Mir earned 3.6% of its profit online, a 133% increase since 2015. There is also a reverse trend. Online stores are opening offline showrooms. According to RBC Market Research, despite the development of e-commerce, 97% clothing purchases are made offline. Twenty-one percent of customers said they had never ordered clothes online. Online stores’ competition includes shopping centers, boutiques, markets and stock centers. The Smeshnye Tseny (Ridiculous Prices) chain stores are most popular clothes shopping places. There has been an increase in the popularity of freemarkets, open-air markets, and giveaway services. 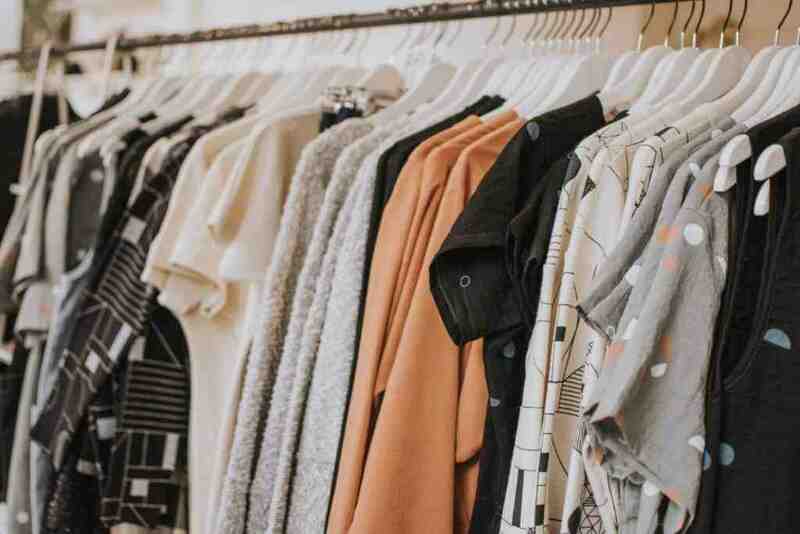 According to analysts at Fashion Consulting Group, Russians’ spending on the purchase of clothing has decreased by 30-50% since 2015 (based on various assessment methods). To compensate for the decline in revenue, retailers hiked prices by an average of 30-40%; some stores by 70-100%. Spending on clothing rarely exceeds 20% of family income. According to Fashion United, one of the reasons for the slow development of the market is the decline in people’s purchasing power: 33% of Russians surveyed in 2018 bought their clothes at sales; 11% specifically waited for a sale to update their wardrobe, and avoided buying clothes without discounts. Many customers prefer to save on shipping. According to the Altera Invest agency, the average bill for delivery by Russian Post or courier service is RUR 300-400 ($4.5-$6). Therefore, 50% of customers prefer to pick up the items themselves, while 30% of buyers still always order delivery to their homes or offices. The online apparel retail market in Russia is divided between several major brands. According to RBC Market Research, 80% of e-sales come from Wildberries, Bon Prix, La Redoute, Quelle, and OTTO. The turnover of these companies is expected to increase annually. The 2014 crisis was a turning point in the market’s development. Before that, turnover growth was 37% per year. Starting from 2016, the average growth has been 3-4% per year. The crisis affected even the big players. In 2015, Wildberries’ profit increased by 25%; in 2012, it showed growth of 60%. The overall decline in sales was 23%. According to an RBC Market Research forecast, the e-commerce market will not see significant growth in the next 2-3 years. Turnover growth will remain within 4-5% per year. It would be too optimistic to expect a quick market recovery after the crisis. According to the Center for Research and Expertise at the Department of Legal Regulation of Economic Activity of the Financial University, online trade in clothing in Russia will develop. The internet provides many opportunities to expand the target audience, to promote brands and increase profits. But, according to the researchers, the promotion strategy should be aimed primarily at a young audience open to new technologies and ideas.